“What is the age limit for CDS 2018 exam ? What is the attempt limit for CDS 2017 exam ? What is the percentage criteria for upcoming CDS exam ? 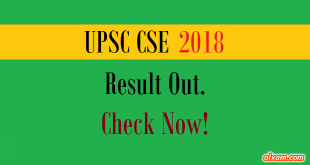 Union Public Service Commission (UPSC) organize Combined Defence Services (CDS) exam every year. NDA (National Defence Academy) exam, CDS (Combined Defence Service) exam and AFCAT (Air Force Common Admission Test) exam are the three written exams conducted for enrollment of officers into the Indian Army, Indian Navy & Indian Air Force. NDA & CDS exams are for the induction of officers into the three wings i .e., Army, Navy and Air Force & AFCAT exam is for only Air Force. Here using this article we are providing you all information about the age , attempt & percentage limit for CDS exam. what is the age limit for CDS examination ? We are here providing complete information about age limit criteria of CDS examination. Q.1 – Is there any age limit for applying CDS 2018 exam ? Explanation : The age limit for CDS examinations is as written above (there is no age relaxation). Q.2 – Is there any attempt limit for attending CDS 2018 exam ? Explanation : There is no restrictions over no of attempts rather there is age limit. Q.3 – Is there any percentage limit for applying CDS 2018 exam ? Explanation : There is no percentage limit for applying CDS 2018 exam.